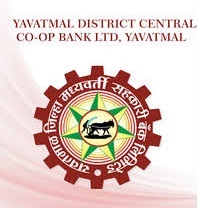 YDCC Bank Notification 2019.Yavatmal District Central Cooperative Bank, YDCC Bank has released a notification for the recruitment of Junior Clerk, Assistant vacancies.Check the eligiblity and notification prior to apply for the positions. Qualification Details: 1. Qualification: Candidate must have possessed GDC&A/ CAIIB from recognized university. 1. Qualification: Candidate must have possessed GDC&A/ CAIIB from recognized university.